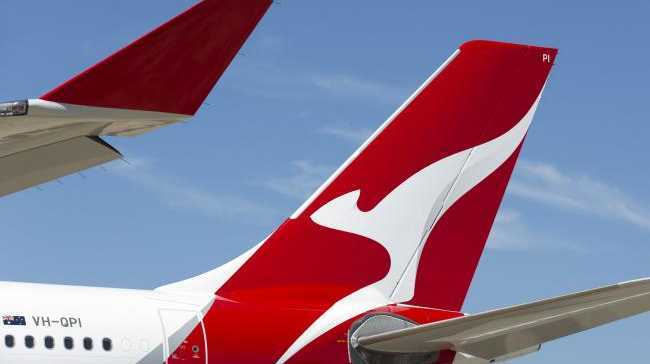 Qantas begins Melbourne to San Francisco flights. When your flight starts with Champagne and caviar, you know it's going to be good. But when that caviar is presented by celebrity chef Neil Perry himself, you know it's going to be seriously special. 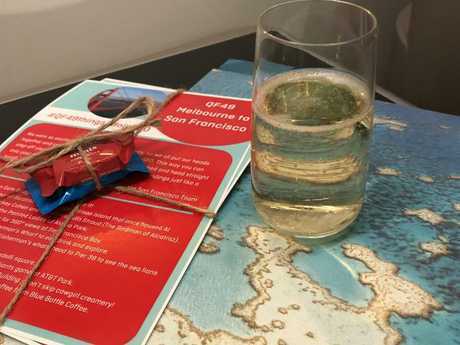 On Qantas' inaugural flight between Melbourne and San Francisco - the first ever direct flight between the two cities, that's exactly what's on offer. Well, for those fortunate enough to be flying in business class, at least. Lucky for me that includes a contingent of media hosted as guests of Qantas. But for some unsuspecting business travellers, the whole first flight razzamatazz comes as a complete surprise. "I just booked the shortest flight I could find and it was this one - I had no idea it was the first one," reveals the passenger in front of me. How all flights should start. Besides Perry's presence there are a few clues this is no ordinary flight. 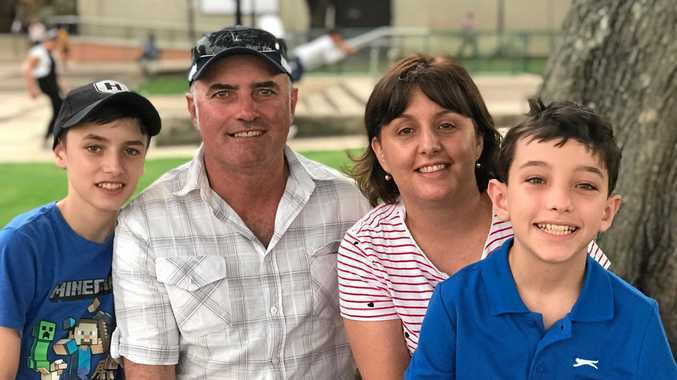 One of Qantas' most senior pilots, Captain Lisa Norman, wanders through the cabin chatting to passengers, and Qantas ground staff snap photos as the plane taxis away from the gate. 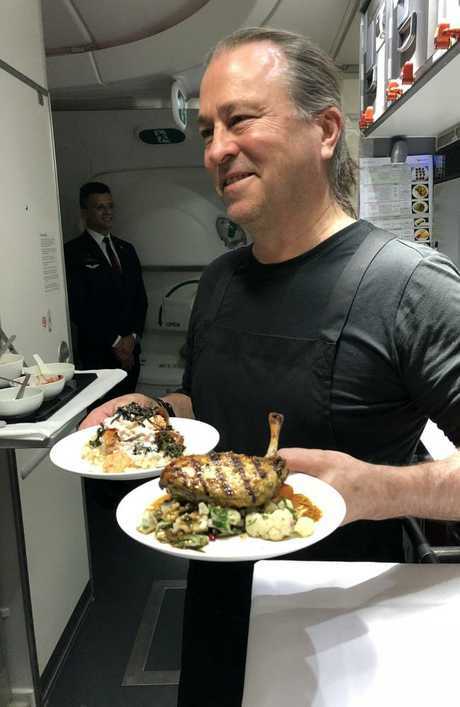 Given this is a flight connecting two big foodie cities, it's fitting the focus on board is also the food - and Perry's along for the ride to share a few of his secrets. Here's a few things I learnt while flying on SF49. Is cabbage. The humble veggie leaves are wrapped around any rice dishes and removed just prior to service to ensure they keep moist. THE FLIGHT IS ALMOST THE PERFECT LENGTH. ALMOST. At just over 13 hours, thanks to tail winds, the flight allows for a couple of movies, a couple of meals and a decent stretch of sleep - although one of my fellow passengers admits being a smidgen disappointed it didn't last a little longer, as do the pilots, who wouldn't have minded a little more mid-flight nap time. 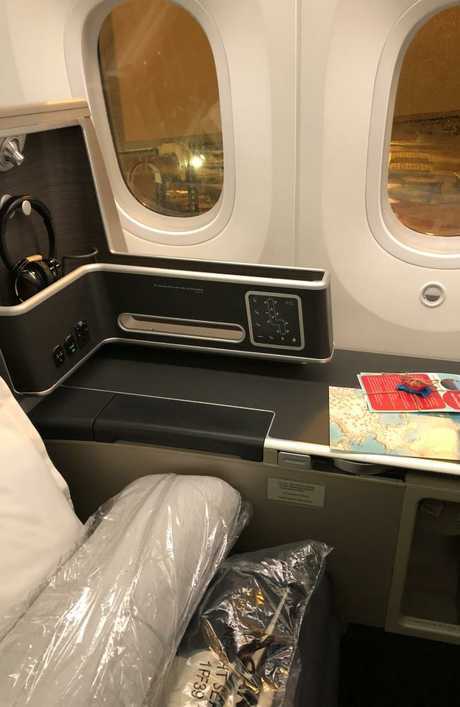 That said, I'm surprised at how much rest I get, and it's not only because I'm in business class (although yes, the lie-flat bed is amazingly comfortable). But economy passengers too emerge from the flight claiming they're not that tired. Also, if you're into time travel, you'll be thrilled - the time difference means the flight actually arrives about 3.5 hours before we left. Perry keeps business meals from drying out by using cabbage. Given you're leaving in the evening, but also arriving in the evening, towards the end of the flight your body clock feels like it's brekky time but the actual clock says it's almost dinner time. That's been factored into the menu options though and there's a range of "brinner" choices (or light dinner, as Qantas terms it). In business, that means dishes like croissants and a breakfast bowl-inspired salmon, kale and brown rice dish. Eat up, as it may be a while before you make it through the security screening (around an hour in the queue when we passed through) to get out to enjoy the San Francisco dining scene. It claims to be the plane that beats jet lag thanks to the improved air pressure on board - and it really does make a difference. The crew raves about it. "No one has dry lips (after a flight)," one of the pilots tells me. Neil Perry says his eyes are noticeably less affected when he flies on the 787, and another passenger notices her usual in-flight sinus issues aren't apparent on this flight. Bubbles to celebrate the new Qantas flight. And that's Wi-Fi. While Qantas is rolling out in-flight Wi-Fi across domestic flights this year, it's not available yet internationally, and as a frequent flyer, that suits Perry just fine. "Please don't ever bring telephones on … it's just so fantastic to go to London (for example), and switch off and know you can just sit and watch some movies and have a glass of wine and really chill out." Perry reckons - and I'm happy to confirm - the espresso machine in business class does make pretty nice coffee. "Technology keeps changing, so these machines are getting better and better," he says. But will we ever get to the point where economy passengers could summon a decent latte in economy? Sadly, Perry says it won't be happening any time soon. "It's difficult on a plane, and it's different in economy with the volume … I don't think we (Australian coffee lovers) should ever expect to be blown away by coffee in the air." He says it's just one of the realities of travelling: "There are very few places in the world where I bother drinking coffee (as it doesn't live up to Australian standards)." (For the record, Saint Frank is his top choice for a great cuppa in San Francisco). Business class comes with a mattress to guarantee sleep. OK, so anyone who's flown business with Qantas will know this already, but it really is a thing - and on a flight that departs just before 10pm, passengers race to get changed into their Qantas "uniform" as soon as the seatbelt light is switched off. Is it bad form to disembark still wearing that comfy get-up, I wonder? The crew say it's a pretty regular occurrence - though usually it's just the top that passengers tend to leave on. 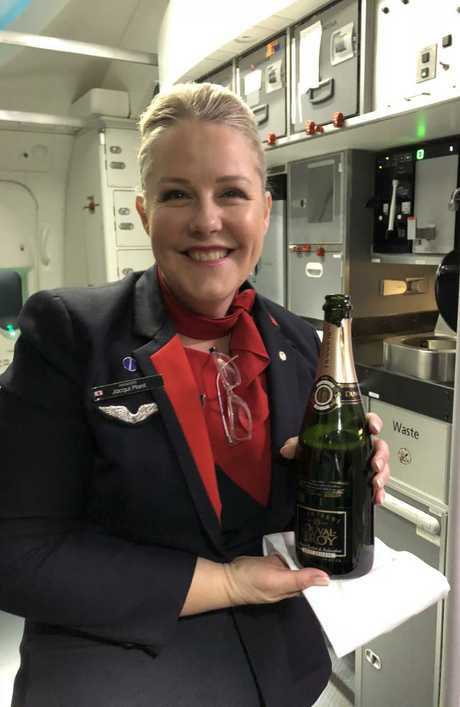 While the PJs are usually only the domain of business passengers, to celebrate its first flight Qantas shared the love with every passenger on board given a pair as QF50 took off for the first time from San Francisco. The writer travelled as a guest of Qantas.